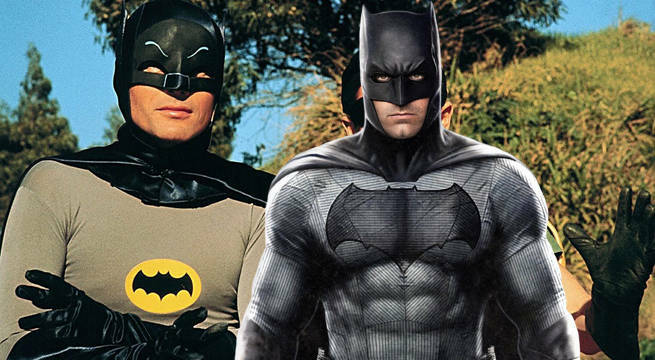 The original live action Batman wants back in the game. Over the course of fifty years playing the role of Bruce Wayne and Batman, Adam West has defined the character to generations with wit, humor, and fun that has been overshadowed of late in favor of dark, brooding realism. He returned to the role, alongside Burt Ward as Robin and Julie Newmar as Catwoman, in the animated film Batman: Return of the Caped Crusaders, which hits Blu-ray November 1, and is available on HD digital now. But would he ever return to the role in live action, even for a gag? "Never, never, never, never," West told ComicBook.com emphatically in an interview. He feels he's left those particular days behind him, but the idea of appearing in a new live action Batman movie, like Ben Affleck's The Batman is a different story. "Absolutely," the actor said when asked if he'd like to cameo. In fact, he even has a suggestion for an ethereal way he could come into play. "You know what I'd love to do? Those guys are all wonderful talents in their own ways, and they approach the role differently, but if I could approach it in a darker way, of course, in a more serious way, however, it would be wonderful to play Bruce Wayne's father coming back. You know he was murdered, but coming back one dark and stormy lightning-riven night through a library window. Bruce Wayne is there thinking, 'I'll never solve this. This is the most difficult thing in my life.' In comes old dad, like a bat, almost." It's a slightly similar play to the world of DC Comics' Flashpoint, where Thomas Wayne, Bruce's father, became the Batman after Bruce was shot in the alley instead of his parents. Similarly as well, West voiced the Grey Ghost, an inspirational character to Bruce Wayne in Batman: The Animated Series, so this isn't entirely uncharted territory. It's easy to see that it would be fun, and as West said, "blow their minds out in the audience" to have him cameo, especially as an aged Thomas Wayne - maybe Affleck and Geoff Johns can give this kindly young actor named Adam West a break. Cameos are a storied part of comic book movies, with virtually every movie featuring Marvel Comics characters including a few seconds for Stan Lee, though classic actor cameos are a bit less common. After Batman: Return of the Caped Crusaders, you can catch Adam West in another animated Batman film, pitting him against William Shatner as Two-Face. The sequel was announced at the world premiere of Caped Crusaders, presented at New York Comic Con earlier this month.